WOW! 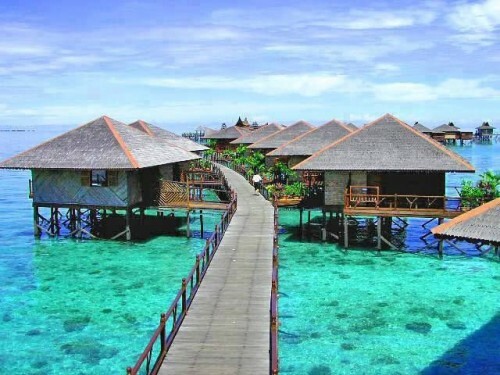 Super cheap flights to Maldives from Prague for only €402! UPDATE 22.1.: really cheap flights from Prague to Maldives again available for only €401! 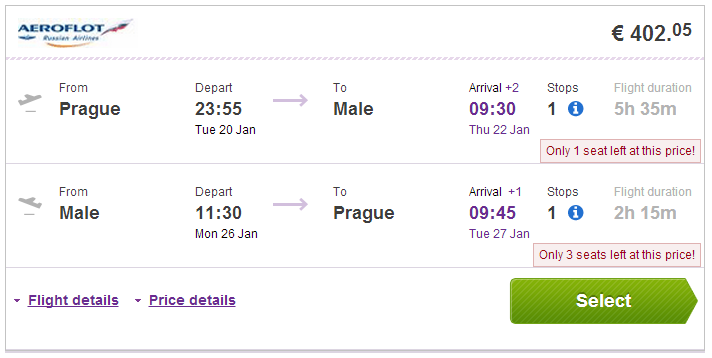 Departure also from Warsaw for €440. Last few dates: 25.2.-8.3., 4.3.-5.4., 8.4.-16.4., book here, check screenshot. This is incredible price for anyone who wants to visit paradise in Maldives! 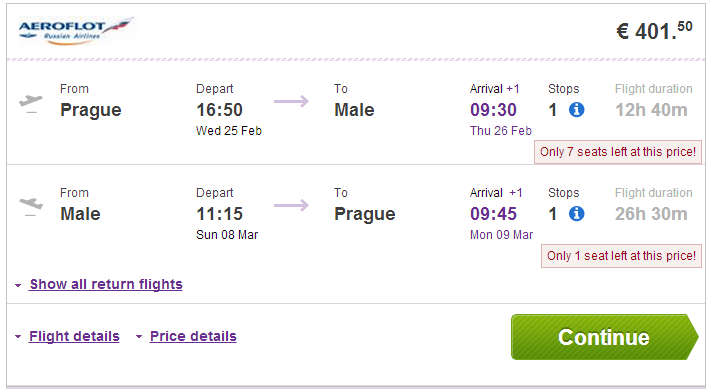 Return flights from Prague to Male will now cost you only €402 / 11107 CZK! Regular price on this route is around €800 and more! There is just one stopover in Moscow and you will also return straight to Prague. The only negative is long stopover, between 14 and 18 hours. If you ask for visa though you can use this time for visit of Russian capital. Book via Vayama to get this low price! « SuperVolotea sale: super cheap flights across Europe for €1!